Rosewood sounds stellar on rosewood. 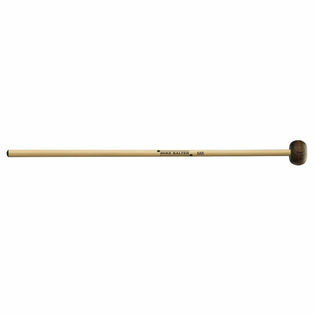 These are my go-to mallets for smaller ensemble or softer spots (but not soft enough for Becker blues). I don't give these 5 stars for two reasons: the mallet shafts are too thick, and they wear out quickly (chipping happened to my last two pairs in a year each). Don't use them on non-wood xylophones. Otherwise great, inexpensive rosewood mallets. If you want thinner shafts and a larger head, spend the extra money for the Chris Lamb models from Innovative. Great feel; great sound; perfect for the applications I need. The service and speed of delivery was first rate! I really enjoy the sound of these mallets. The wood-on-wood attack of the mallets gives ever-so-slightly less articulation versus a plastic-on-wood attack. The 08ARs have a nice, full sound on the bars and feel really nice in my hand with the rattan handles. They're perfect for xylophone solos, which is exactly what I bought them for!